The National 2017: New Australian Art will be launching across multiple sites on March 30. Featuring 48 artists working across a range of mediums, the 2017 exhibition is the first in a series of exhibitions to continue biannually over a six-year period, and spanning across three Sydney locations: the Art Gallery of New South Wales, Carriageworks, and the Museum of Contemporary Art. Richard Lewer will present a newly commissioned video piece examining the 1983 death in custody of a 16-year-old Yindjibarndi boy, John Pat. Never Shall Be Forgotten – A Mother’s Story presents the work from (John’s mother) Mavis Pat’s perspective. 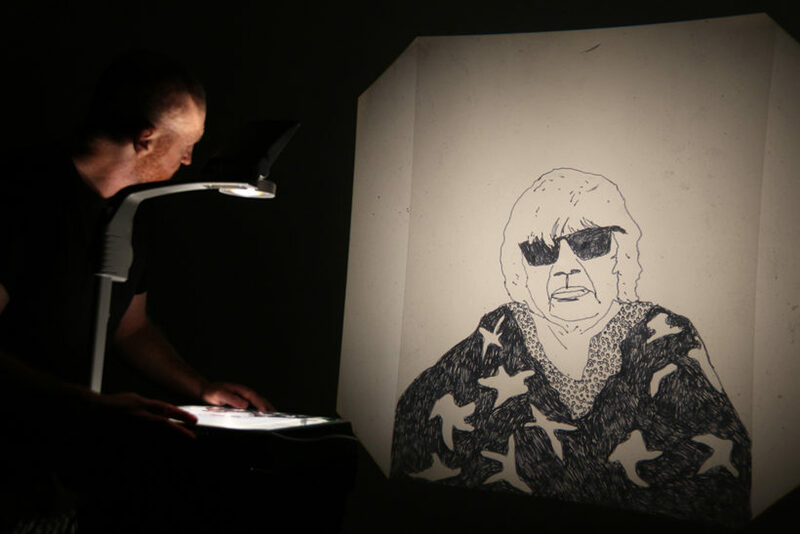 Lewers commitment to research and story-telling is evident in his earnest presentation of drawing, animation, and photography. “My practice deals with contemporary social realism; exploring sub-cultures, fraternity, alienation, and as part of this, I’m interested in experimenting with notions of the artist’s role as commentator or interpreter, which sometimes involves discussing awkward or taboo issues. A key component of my practice is exploring the relationship between studio activity and life outside the studio, and I’m often creatively motivated by my personal response to and active engagement with my subject matter through research and participation. Recent examples of this are bodies of work made during and after immersion in Aboriginal communities in Gumbalimba in the Northern Territory and Parnngurr in the Western Desert, WA; and the Fly-In-Fly-Out mining community in Karratha, WA. Participation in endurance-based performances (such as large-scale wall drawings, boxing and wood-chopping) and the participation of others in the creation of my work is also an integral part of my practice. Richard Lewer’s work for the exhibition is on display at Carriageworks. The National 2017: New Australian Art is not to be missed!